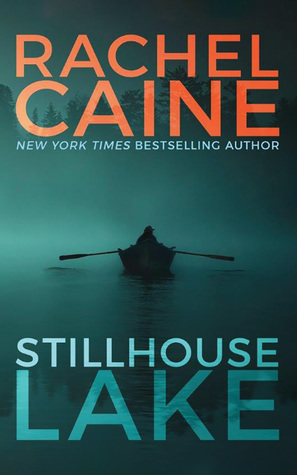 Read a full summary of Stillhouse Lake by Rachel Caine below. If you can’t remember what happened in Stillhouse Lake and you need a refresher, then you’re in the right place. The book begins with Gina Royal returning home to a drunk driver having crashed into her husband’s garage. There was a dead body in there. It turns out that Melvin Royal is a serial killer, and he has been doing his work in the garage before dumping the bodies underwater. Gina and the two kids, Brady and Lily, had no idea. Gina was arrested because a neighbour apparently saw her carrying a body, but this neighbour is a known gossip and Gina was eventually acquitted. Using inheritance money that Melvin had stashed away, Gina created a new life (or several) for her and her kids. Internet trolls and family members of the victims have been incredibly angry with her, and have been threatening her and her children with all sorts of disgusting things. Because of this, Gina has changed their names and locations several times. They’re currently living in Stillhouse Lake and are known as Gwen, Atlanta, and Connor. Atlanta gets in trouble at school and is suspended. Obviously the children aren’t coping too well. Connor “loses” his phone. Officer Graham returns it. Connor doesn’t show up at school one day and he is found on the dock with a bloody nose by a guy called Sam. Sam brings him home. A letter from Melvin arrives and it’s super creepy. Atlanta reads it and is a bit disturbed. A body is found in the lake. Atlanta heard the splash when it was dumped, and says she saw a small white boat out on the lake. Gwen and Sam get to know each other over the summer. Sam and Connor build a deck around the house. Gwen receives another letter from Melvin which mentions a lake house, which means he knows where they are. She decides she’s going to visit him in prison for the first time. Gwen leaves Sam to look after the kids at the lake house. She’s disgusted by Melvin when she sees him. She has had him beaten as a threat, and she warns him that if he comes after her or the kids again, she’ll have him killed. Melvin makes his own threats. Gwen returns home in the evening. Sam says the cops were looking for her. Gwen tells Sam about Melvin and who she really is. He doesn’t take it too well, but he doesn’t kick up a massive fuss either. The cops show up and Gwen sends them away because they don’t have a warrant. Gwen and the kids start to pack when the detectives show up with a warrant. Gwen goes with them. It turns out the warrant is fake but she talks to the detective anyway. He’s trying to get her to admit to killing the girl from the lake. Gwen insists she knew nothing about this, or about Melvin’s murders. Sam Cade is arrested because he has a connection to the killings – his sister was the victim who was found in the garage in the beginning. He’s been following Gwen around this whole time. Gwen is let out and told not to run. She reaches the house, which has been vandalised. Her neighbours block her in with their cars so she goes cross country. She races down a hill, causing the cars chasing her to roll and crash. The men threaten her. Connor calls the cops, who arrive quite quickly. A second body is found in the lake. Kezia offers to watch over the house for Gwen. She doesn’t believe that she did it, and her father suggested she help out. Gwen wants to go shooting, so Kezia watches the house from the driveway to make sure the kids are ok.
At the shooting range, Javier starts to act weirdly. He’s not very nice towards Gwen because he’s not sure if she has been lying this whole time or not. Gwen leaves the gun range and on the way back down the hill she stops at Sam’s place. The two of them talk. Someone aims a shotgun at Sam’s head but Gwen saves him. Kezia arrives swiftly and checks out the scene. Kezia says that she had to leave Gwen’s house briefly because she got a call about an officer down. She admits that there was no such thing, and then it clicks that this was all a rouse to get her away from the house so someone could get to the kids. Kezia, Sam, and Gwen rush back to the house to find blood everywhere and Connor and Lanny gone. Gwen goes to the police station again. As she is leaving, Officer Graham offers her a lift to where the search party is. During the car ride, Gwen realises that this guy is acting weirdly, and there is blood in his car. There’s a fight and Gwen takes Officer Graham out. He’s also gotten his kids involved in this. Turns out he’s a copycat fanboy of Melvin’s, and he has been working with him and Absolum this whole time. Kezia and Sam arrive and they go to the cabin to find the kids. The Graham boys are there, and they shoot at the trio. Kezia handcuffs them. Gwen finds her kids in a secret basement. Connor admits that the code to the safe room was on his phone, which the Graham kids stole towards the beginning of the book. The book ends on a cliffhanger – Melvin and several other inmates have escaped from prison.